Born in Busan, Korea, Patti Kim immigrated to the United States on Christmas, 1974. Convinced at the age of five that she was a writer, she scribbled gibberish all over the pages of her mother’s Korean-English dictionary and got in big trouble for it. But that didn’t stop her from writing. The author of A Cab Called Reliable, Here I Am, and I’m Ok, Patti lives in University Park, Maryland, with her husband, two daughters, and a ferocious terrier. 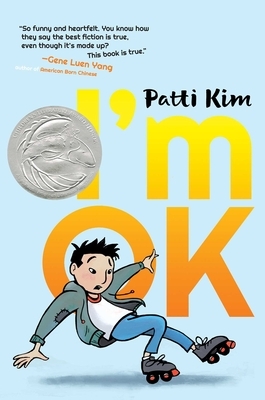 "I love the profound honesty of I'm Ok. Patti Kim goes beyond giving us a fully-realized and finely-drawn character: She illuminates the truth that an awkward, confused, funny, and tender thirteen-year-old still lives inside every one of us."